Sure, you’ve spent a great deal of time caring for your face and your eyes. But what happens to your hands? What about your chest? Did you remember to take care of yourself from the neck down? You really need to give these neglected parts some TLC. All you need to do is look down at your hands. You’ll notice that the skin on your hands is not as ageless as your complexion, which is why they have been termed as giveaway areas by experts. It is quite easy to determine your real age by simply looking at your hands, your chest or your neck, even if you boast of having the perfect complexion. The main reason for this is that even though these three areas receive the same amount of damage from the harmful UV rays of the sun, you don’t give them the same level of care. Now that you’ve understood the importance of pampering areas below your necks, here’s what you need to do in order to maintain great looking skin from the neck down. The first and foremost thing that you need to ensure is that you exfoliate the skin from your neck down 2 – 4 times every week, depending on your type of skin. Exfoliation helps in removing the dead skin cells from the outermost layers of your skin, thereby allowing healthier and newer skin cells to take its place. Most women begin to show signs of aging from their early 30’s as the skin begins to lose its moisture levels. By the time a woman reaches the age of 40 or 50, the veins and tendons become a lot more visible due to the lesser amounts of fat. The best way to fix this problem is to prevent it from happening altogether. You can do this by ensuring that you moisturize your skin and use sunscreens every day from your early twenties itself. 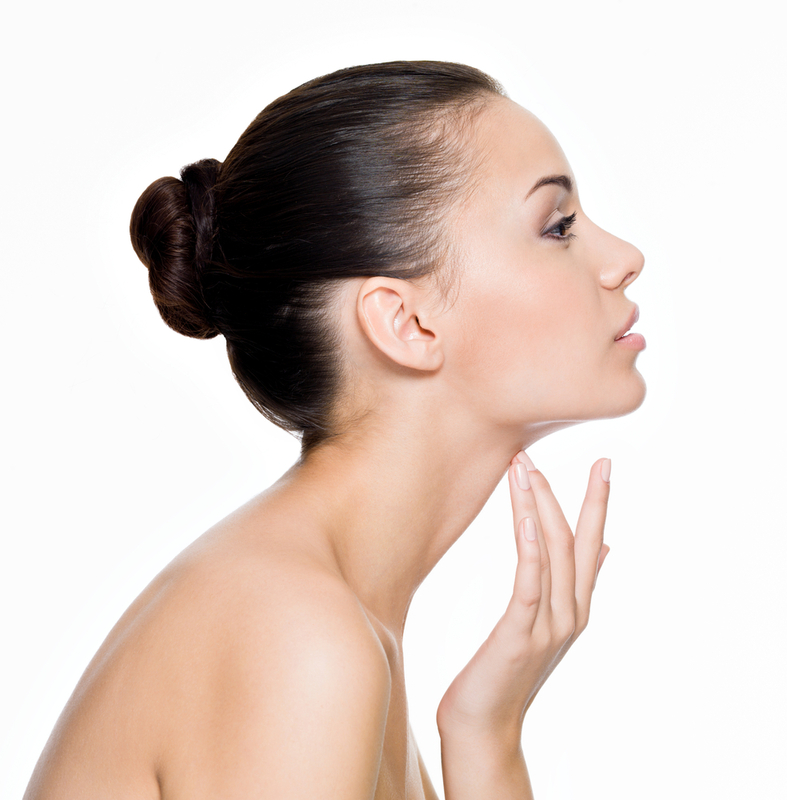 Peptides are an excellent way of treating the damage caused to the skin below your neck. They help in boosting your collagen levels which in turn spurs new skin cell generation and they also allow you to increase the elasticity levels of your skin. This helps you to look younger, fitter and healthier. You can smoothen your skin by using creams that contain retinols. All you need to do is apply retinol creams on the exposed areas below your neck before going to sleep every night. Retinol minimizes the fine lines on your skin and also helps you to stimulate skin cell renewal and lighten your skin tone. Constant exposure to the harmful UV rays of the sun can lead to blotchiness in the long run. One of the best solutions to fade away those skin spots is to use bleaching creams that contain Licorice extracts or Kojic acids. It is also important to wear broad spectrum sunscreens with SPF 30 on a daily basis. Remember, bleaching is a temporary fix. You need to make it permanent by reversing the effects of aging.